There are 3 models available the PICH1, PICH2, PICH3 accomodating flatscreen Televisions from 32" up to an impressive 65"
Future Automation is one of the world’s leaders in designing and manufacturing innovative lifting mechanisms designed to conceal televisions. This is one of the latest lifts developed it provides a vertical stroke motion for lifting or dropping a piece of artwork or mirror over a recessed wall mounted TV screen behind. This heavy duty version of the standard picture lift comes in three different sizes for screen sizes up to 65”, combined with a total lift capacity of 35 kg this lift can be used with framed mirrors or framed artwork. As with the standard picture lift the units are shipped with an IR remote control set and can also be configured to use RS232 along with contact closure. 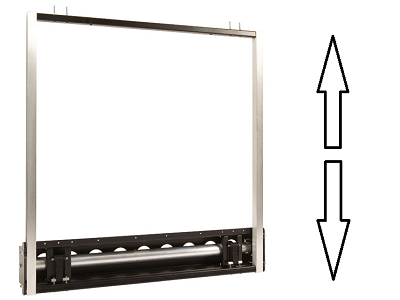 The Heavy Duty Motorised Artwork & Mirror Lift comes complete with dead stops on the motor allowing the installer to set the exact amount of travel required, in addition to this the lift can be configured to raise or lower depending on installation conditions. 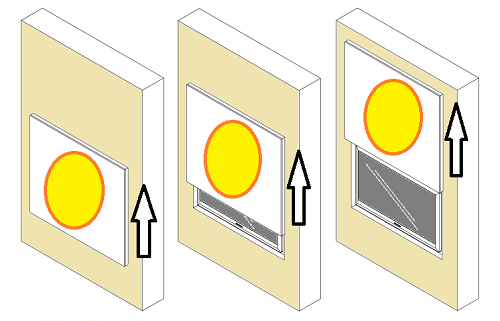 The heavy duty picture lifting mechanism has been made to be used in conjunction with a recessed wall mounted TV. The lift holds the framed artwork or mirror 10mm of the surface of the wall to avoid any rubbing or obstructions during the travel stroke. The Lift features a near silent motor which operates smoothly with full control over the length of travel. If you require any help with this product then please speak to one of our expert advisors on 0800 669 6600. AV Installs also provides full installation and consultation services with this product and can also assist customers in getting artwork printed and framed if required. If you would like more information or to discuss your particular project in more detail with an engineer call us today on 0845 474 1476. Max Screen Size 32" 50" 65"
Example of Motorised Mirror Artwork Lift Movement. With a press of a button the picture smoothly and quietly raises to reveal the flat screen TV behind.